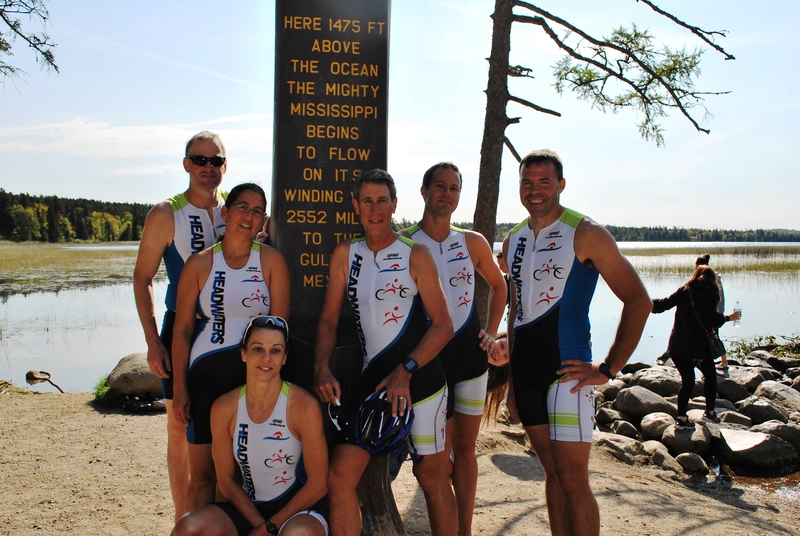 Headwaters Tri members sporting their new uniforms at the Mississippi Headwaters. Where is she going with the bike? What are they doing? Baptizing the bike? Brandi and Sandi competed in their first triathlon this year. Neil and Christel, two members heading to Triathlon World Championships. Neil in 2012 and Christel in 2013. David will compete in his first Ironman (IM Florida) this November. A family that “tri’s” together …. Chris just loves to hang out with all of us.